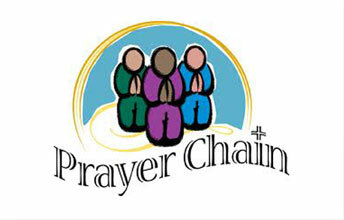 The prayer chain is the spiritual network of people that communicate and take prayerful action on the needs of the congregation, community as well as global needs. This group is committed to pray on behalf of the congregation in reflection of Jesus’ words to “ask and you will receive, seek and you will find, knock and the door will be opened,” (Matthew 7:7). The prayer chain faithfully intercedes on behalf of others in need by lifting up specific requests, concerns, and emergency situations. Do you have a prayer request? To submit a prayer request, please fill out the online request form or call the church office. We pray for those in any form of need. This would include those suffering any illness, the lonely, the homebound, and those physically or emotionally hurting. As part of our ministry, we also send cards and words of encouragement. It is our deepest desire for people to know that someone is thinking of them and that they are being upheld in prayer.